Mediator in Barbados, Trinidad, USA, Canada, UK, EU. Ms. Jamela A. Ali acquired Mediator Skills Training in 2003 under the auspices of the Supreme Court of Guyana and also completed Refresher Mediation Course and Advanced Mediation Training. As a Trainer in Mediation, Jamela was involved in the training of Justices of Peace, Commissioners of Oath, Toshaos and other Mediators in an Advanced Mediation Course. Jamela also holds a Certificate for service as a Faculty Member in Advanced Mediation Training (2008). Over the past 13 years, Jamela has utilised her Mediation and Negotiation Leadership Training skills in conducting several court connected and private mediations ranging from disputes relating to properties, mining law, family matters, slander, religious and monetary claims. Jamela has also delivered several oral presentations on Mediation and Alternative Dispute Resolution (ADR) and published Articles. Founder of Mediation Services International (MSI) and the Past President of MIG. As President in 2011, Jamela displayed a leadership role in the successful hosting of the first International Mediation Conference in Guyana. Presenters included Justice Vasheist Kokaram of Trinidad and Carl Singh, former Chancellor (ag) of the Judiciary of Guyana. Jamela A. Ali is an Attorney at Law at the Guyana Civil Bar for over 29 years and at the Caribbean Court of Justice (CCJ). 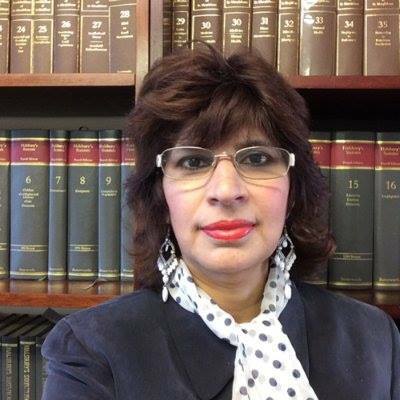 Through her diverse background in litigation and mediation, she has gained a wealth of knowledge and understanding of the Law and how to apply this effectively to her clients' needs to guide them to the solution best suited to them, which includes providing unique and innovative insight in practicing litigation avoidance by strategising and negotiating. Senior Partner - Fraser, Housty and Yearwood Attorneys at Law. Admitted to practice at the Guyana Bar in 1996 and Trinidad and Tobago Bar in 2007. He has served as President of the Guyana Bar Association between the years 2008 to 2010. Possesses in excess of 13 years are a trained and practicing mediator in Guyana. Considered to be one of the leading mediators in Guyana. Lecturer at the University of Guyana in Intellectual Property Law, Environmental Law and Policy and Human Rights Law. Started her law practice in the UK in 1993; having been admitted to the British Bar in 1986 and requalifying as a Solicitor in 1990. While practicing at the Bar in the UK she observed that too often matters were capable of settling long before the parties came to court and a settlement would be reached just before entering the courts door. For this reason she made a choice to requalify as a Solicitor as she was of the view that her ability to negotiate a settlement between the parties could be well utilized in her role as a Solicitor at an earlier stage, saving clients time and money. Founder of Rafina Solicitors, the ethos behind her practice was always about finding real solutions for real people across the world. Coming from a business background, her approach to matters is generally an understanding of the legal issues involved while at the same time balancing the business and or practical issues attached to the matter offering the clients a variety of legal and practical options to proceed. Rafina was also admitted to the Bar in Guyana in 1987. 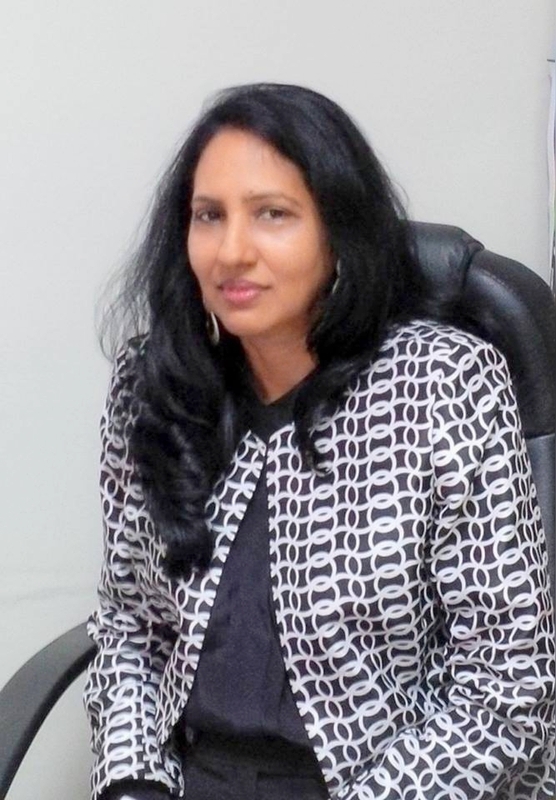 Her practice in the UK has helped her in connecting with a huge Guyanese clientele and working closely with lawyers in Guyana have managed to successfully resolve issues remotely. Not only has she been able to offer her clients the benefit of her business experience and more recently her mediation skills by offering both a pragmatic approach to problem solving combined with a legal solution. Her ability to assimilate information given and find an effective solution is her unique selling point. Rafina has been working in a varied legal environment. Her sphere of experience ranges from dealing with clients at all levels each with their particular and different legal issues. Since her appointment as an Accredited Mediator in 2012, Rafina has assisted a number of clients in successfully avoiding expensive court battles; reached a compromise that they are happy with and retained relationships which would otherwise have been destroyed through the court process. Certified Mediator in Barbados, Trinidad, USA, Canada, UK, EU. Kumar Hathiramani, J.P. is one of the Incorporating Directors and President of the ADR Association of Barbados Inc., incorporated on 29 November 2004, as a non-political, non-profit organization. He was educated in the Caribbean; obtained his McGill Matriculation from Lower Canada College in Montreal and his Bachelor’s Degree in Business Administration at Bishop's University in Quebec, Canada. In 2002, he completed his Masters Degree (Hons) in Conflict Resolution at Antioch University, Ohio, USA. In 2007 - registered by the Mediation Board of Trinidad & Tobago as a Certified Mediator for Civil Non-Family Matters. 2016- Centre for Effective Dispute Resolution (CEDR) London, England. 1992- Diploma in Paralegal Studies from the Barbados Community College. In 2009 – 2010 Kumar facilitated and coached several courses conducted by the ADR Center, Rome, Italy through the Justice Improvement Program Secretariat (JIPS), Attorney General’s Office, Barbados. Currently, he is a coach for the Sitt, Feld and Handy Group. As a Business Administrator with over forty years of experience, he has a diverse business background in trade, commerce, industry and property management. • Association for Conflict Resolution (ACR), Washington D.C.
• A life member of the Council for National and International Commercial Arbitration (CNICA, India). His interests include the study of Philosophy, Spirituality, Mysticism, Conflict Resolution and Management amongst other disciplines. Kumar has delivered lectures and conducted sensitization seminars in conflict resolution and mediation to various business organizations, social groups and schools. He advocates that for any mediation model to be sustainable it has to incorporate indigenous values and traditions in order to preserve the already established culture and beliefs of its jurisdiction.